The first book of a bold new trilogy by up-and-coming author A. J. Leavens. In the future, Nuclear War has ravaged the planet. Slade Meechan, an Emissary for iCorps embarks on a Delivery to find Randy Herman - a man who's escaped from a Penal Territory. Beset by hurdle after hurdle, Slade must reach his Target before time runs out. His journey sends him far from his home, and into a land outside the Government. Accompanied by a loyal and mischievous Diplomatic Corps officer, and an array of mechanical gadgets, Slade crosses the world to fulfill his mandate. What happens when the hunter becomes the hunted? Slade will have to use all of his skills and all of his connections to stay ahead of the one who wants him dead. But is there more to the story? Death’s Twilight - A Definite “Must Read"
After reading the first chapter of Death's Twilight, I realized very quickly that I was simply hooked. A. J. Leavens has done a fantastic job of portraying a post-apocalyptic world while retaining elements of our own time and society all with a fun sense of humour. As the adventure developed, I found myself anticipating what would happen next and the chapters passed with greater and greater speed. 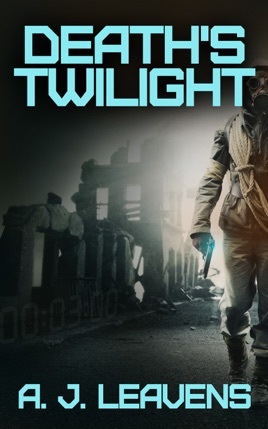 If you are a fan of post-apocalyptic, futuristic science fiction fantasy, Death's Twilight is a ‘must read’.